Around 11 PM on Wednesday, January 18, Abigail Kruger was sitting on her couch in her Lakeview duplex, just south of Wellington and Racine, when the evening’s quiet was shattered by a loud bang. “I thought it was a gunshot, or a car had hit a light pole,” she recalls. As Kruger went to her first-floor window, she heard a short burst of police sirens, then silence again, followed by a young woman crying, “Help, someone please help me.” On the west side of Racine she saw 19-year-old Annie Zidek lying on the pavement, surrounded by four or five Chicago police officers. Kruger ran outside. She says she thought Zidek had been shot, but as she approached the teen, she saw a dented and broken bicycle and realized that she had been struck on her bike. Zidek’s backpack, phone, and one of her shoes were scattered across the street. Kruger says she then assumed Zidek had been the victim of a hit-and-run. But the motorist who injured the cyclist was actually an as yet unnamed police officer who sped through the intersection at Wellington and Racine—which has four-way stop signs—en route to a burglary call. The Chicago Police Department now argues that Zidek was at fault, claiming that she ran her stop sign, and that the officer who hit her had activated his emergency lights before he went through the intersection. However, Zidek’s attorney says the truth about the crash has yet to be determined, and that the police department’s refusal to accept responsibility is yet another example of our city’s larger problem of police accountability. Zidek, a DePaul undergraduate, was on her way home from work at a Starbucks near Wellington and Broadway when she was struck, according to a male relative who asked not to be named, citing fears of police retaliation. In the aftermath of the crash, Kruger says, Zidek lay with the left side of her face and shoulder on the asphalt, her hips rotated toward the ground. Even though Kruger didn’t yet know an officer had injured Zidek, she says she noticed the police weren’t doing anything to comfort the victim. Kruger waited with Zidek until an ambulance took her to Advocate Illinois Masonic Hospital, where she was treated for a broken pelvis and leg, road rash, and injuries to her face, according to her male relative. As Kruger walked back toward her house, she saw an unmarked Ford Explorer SUV parked diagonally across Racine, south of Zidek’s bike, with a dented hood and a shattered windshield. Kruger then realized that an officer had struck Zidek. Zidek and her father didn’t respond to e-mails sent through their attorney, Antonio Romanucci of Romanucci & Blandin. Zidek was recently released from the hospital, Romanucci says, and is currently undergoing challenging and painful physical therapy. In a statement last week, CPD spokesman Kevin Quaid blamed Zidek for the crash, claiming that she “disregarded a stop sign” and that the officer who struck Zidek had his emergency lights activated when the crash occurred. Officers responding to emergencies may disobey traffic rules, such as stopping for stop signs, if they activate their lights and sirens, according to CPD. Police also have the option not to turn on sirens if they need to roll up on a crime scene quietly, as long as it’s safe to do so. But Romanucci argues that this doesn’t absolve the officer who struck Zidek, if it’s found that he was “acting with conscious disregard” for the safety of others. If Ms. Kruger is correct, the cop turned his sirens on *after* impact to attempt to cover up his mistake. I’d guess the odds the camera in the car was working are low. CPD says the officer activated his emergency lights before running the stop sign, and that if the lights were on, the dash cam was on. Therefore, Zidek’s lawyer should either get dash cam footage, or else the absence of footage would suggest that the officer didn’t actually activate his lights. How long did the author have to stake out the intersection to get a photo of a CPD vehicle passing through? The vehicle must of been moving very fast to sustain the sort of damage written about in the article. Right, from that and the sound of the crash, Kruger says she’s convinced that there’s no way the officer significantly slowed down, let alone stopped, before entering the intersection. I’ve always wonder at what speeds emergency vehicles are allowed to travel, but couldn’t find an specific answer for Chicago. I would guess as fast as deemed safe? I’ve seen some police cruisers and fire engines blazing down Broadway, which I would consider a heavy pedestrian street, at some frightening speeds. Was there a conclusion to this story? Everything about this makes me sad. I did a search while researching this article but didn’t find anything. Sure, the cameras are supposed to work that way, but the Laquan McDonald shooting showed that they don’t always work. So much for CPD’s respect for human rights. Criminal conspiracy. The police officer who committed assault with a deadly weapon (the car) is having his identity concealed by his fellow gang members at the CPD. Honestly, the only way to stop this sort of gang corruption is to imprison half the CPD. It’ll require a crusading DA to do it. Oh, the cameras work, it’s the crooks in the CPD who make them “not work”. As an avid biker and auto driver in Lakeview and well aware on the community of bikers that taint the streets, I will not cast an opinion on this particular incident having not seen it or the dash cam. But I will say with absolute certainty, that stop signs mean nearly nothing to the bikers in Lakeview. 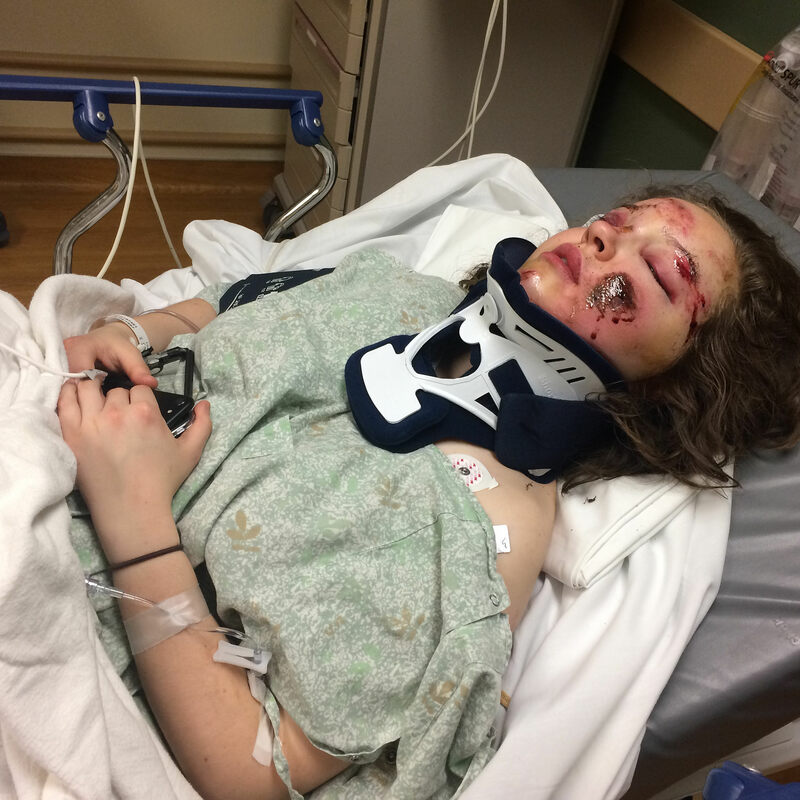 Yes, I will be self righteous when I say I do obey the traffic signs/lights when I bike, because I don’t want to end up like this victim, and consider every person driving distracted. And in fact most drivers seem confused at the sight of a biker actually stopping at a stop sign. The conditions created by both have forced my rides to only be the seven blocks to the Lake Path and back (which is no safer than the streets due to ear bud/texting users on both bikes and on foot) commencing at 4:30 AM and getting back home before the sun comes up. Drivers and bikers both could use a course in common sense. “I do obey the traffic signs/lights when I bike, because I don’t want to end up like this victim.” It’s entirely possible that Zidek did obey her stop sign, but the officer struck her anyway — dash cam video may reveal what actually happened. How do you feel about the community of drivers that taint the streets and, unlike cyclists, frequently maim and kill other road users? I made no judgement on her case as I don’t have any first hand knowledge and I said so. I also said, I treat every driver as distracted whether it be a speeding police car or a jacked up Camaro, and until I see intent to stop or make eye contact, I stay put. And I stand by my first hand observations whether I am in my car or on my bike, that stop signs are treated strictly as optional, and I used the word “taint” as their behavior then reflects on an entire community as people identify with what they see the most of. And this one isn’t even a close call. I’d put it in the 90% percentile. And I pay specific attention to what other cyclist are doing, so I can envision what others think of me based on the action of the many. As to your other question, it makes no sense and has no context to this discussion, so I will not start a keyboard war over it.